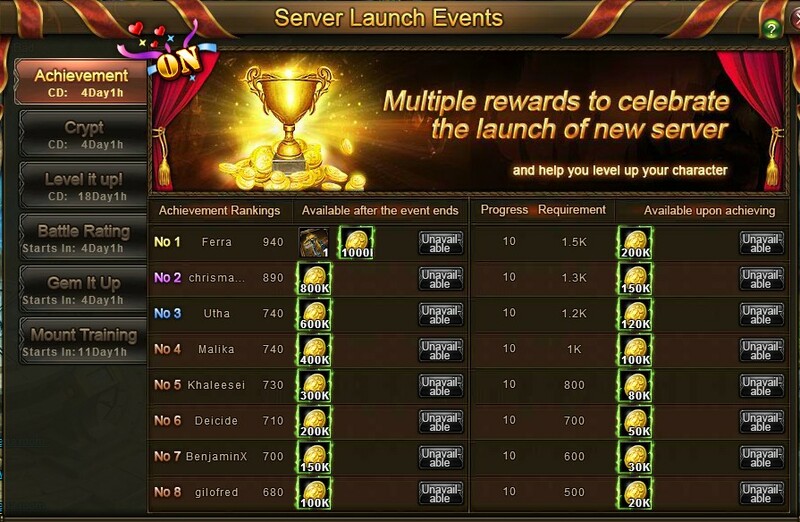 Description: During the event, place in the Achievement top 8 rankings to receive prizes! 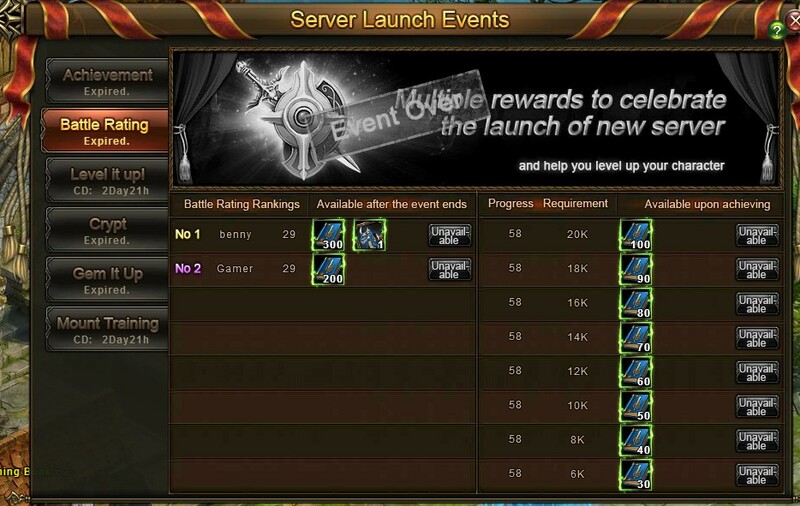 Description: During the event, earn a spot in the Battle Rating top 8 rankings to get great rewards! 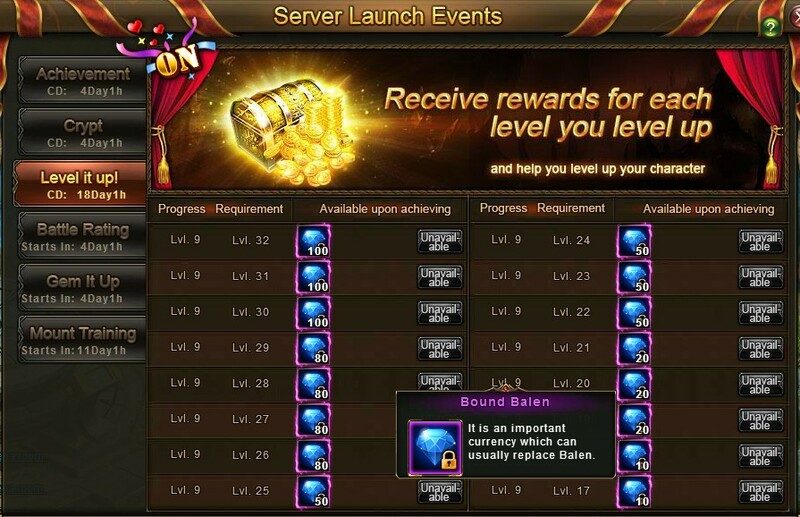 Description: During the event, reach certain levels to receive even more rewards! 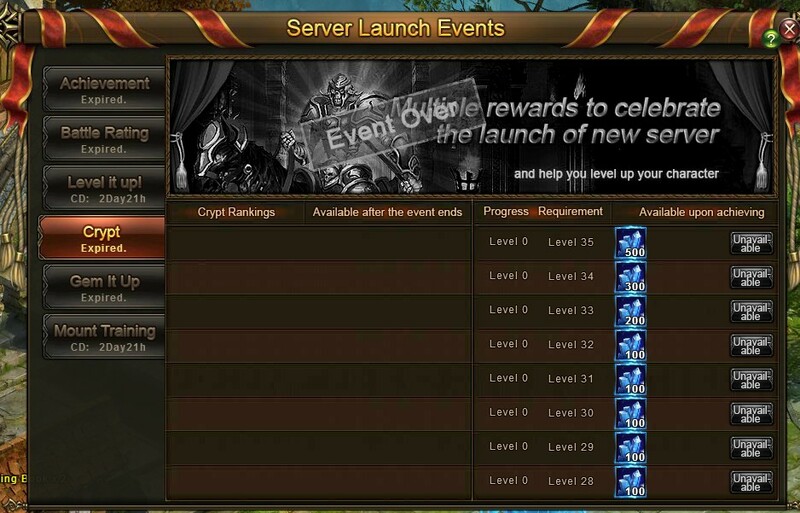 Description: During the event, clear the various levels of the Crypt and rank within the top 8 to be showered with rewards. 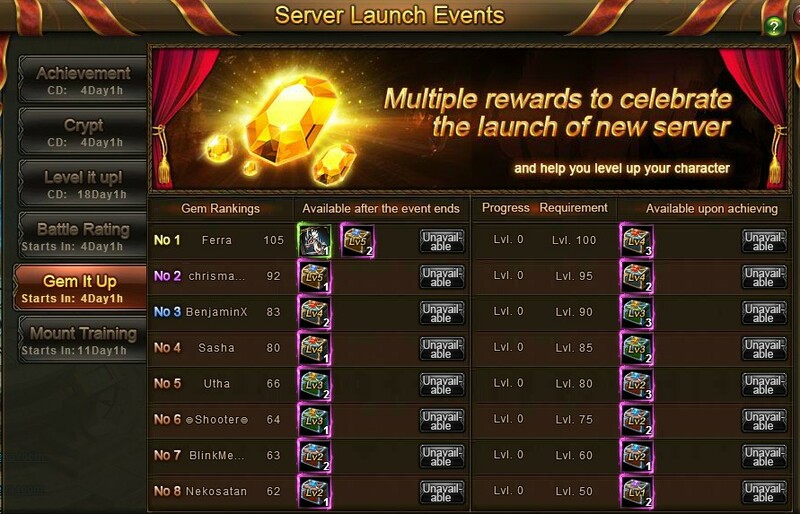 Description: During the event, earn a spot in the top 8 Gem rankings to receive glorious rewards and prizes! 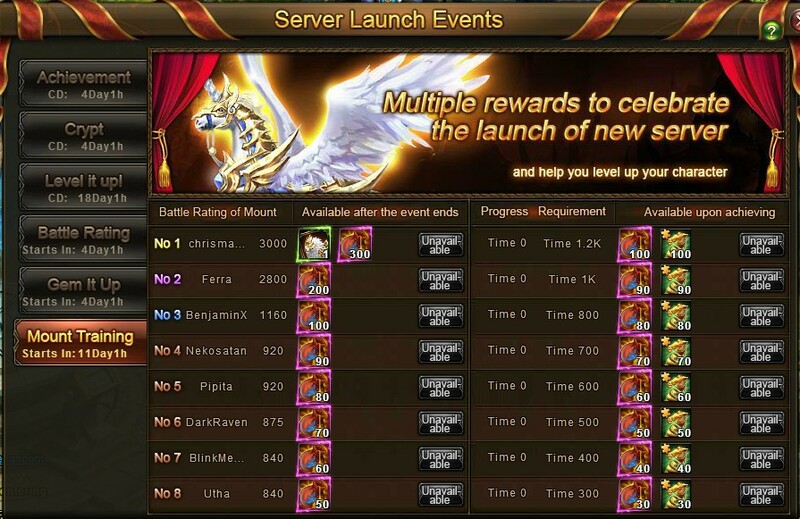 Description: During the event, finish in the Mount Battle Rating top 8 rankings to be showered with rewards! Click here to check more details!